This was my very first CSS project and I think I did a decent job of styling my html website. I specifically chose to write about “3 Fall Wardrobe Essentials Every City Fashionista Needs to Own” is because I am highly interested in fashion and I have always wanted to write my own blog. 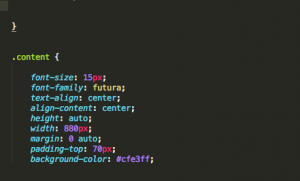 Although I kept the content very brief and simple, I would like to keep practicing html and css and someday launch my very own fashion blog or website. I also attempted to do some cool animation styling, but failed to do so.. 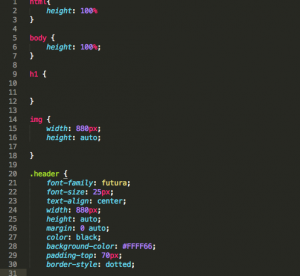 I would definitely love to learn deeper into css! Other than that, styling my website took quite some time to make it come out the way I wanted it through many trials but I got the result I wanted. First of all, I added more writing to my html, changed the heading, and added more images. I used <div> function to set up my layout with header, content, and footer and used the example css style we did in class as a guide to help me. I proceeded to play around with all the font styles, sizes, widths, heights, padding, and margin. I definitely had the most difficult time with the width, height, and margin in order to keep everything centered and balanced perfectly the way I wanted all together. The content part of my website constantly failed to keep aligned with the header in the center even though I centered it, however, as soon as I added the margin to 0 auto, it somehow came together? 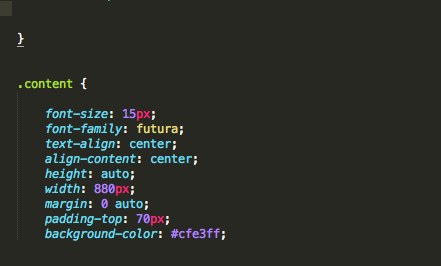 I ended up choosing width 880px and auto height for everything. 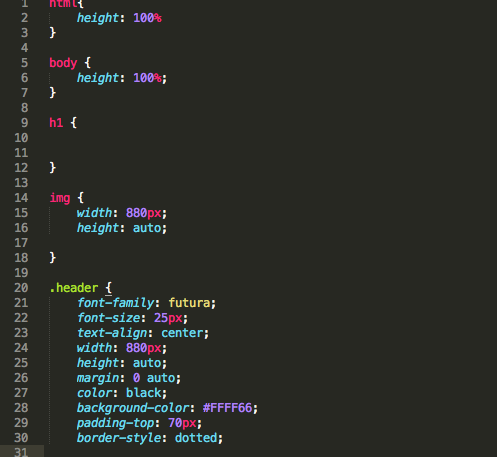 Below I will add screenshots of each step I took for my css style. HOWEVER, I had much trouble trying to get a link to upload onto this post. Although, I successfully uploaded it onto cyberduck into my Week 3 folder, I am still struggling to find the correct way to write out the link in order to load my page. I will need to ask Leon and Nimrah in class today. In the meantime, this is a screenshot of my website!